One of the most fearsome thoughts for both men and women is the prospect of balding. Thinning hair or hair that grows in patches can be just as alarming. A fear of baldness is called phalacrophobia. But even just the loss of a little hair can cause major anxiety for some people. Now, those with balding heads or thinning hair can find a quick solution to their problem at MAXiM, an international hair restoration center based here in the Philippines. The answer is MAXiM’s MEGA Sessions – a procedure that allows clients to grow a good head of hair from just one visit. In the MEGA Sessions, up to 4,000 grafts of hair (up to 10,000 hair follicles) are implanted on the scalp in one sitting so clients do not have to do multiple visits. MEGA Sessions are unique to MAXiM, which has been doing various types of hair transplant procedures on local and foreign clients since 2004. While other hair centers can only transplant 1,000 to 2,000 grafts, MAXiM plastic surgeons and nurses are uniquely qualified to perform Mega Sessions that already produce satisfying results in just one session. “The big advantage of MEGA Sessions, besides the great improvement in looks, is that the client does not have to keep coming back to the clinic for repeat sessions just to get a full head of hair. The improvement in appearance and image is really quite significant and many clients are pleased. With a full head of hair, many of our clients tell us they have landed good jobs, gotten promotions, found the love of their lives, and have renewed self-confidence because of their youthful look,” said MAXiM Hair Restoration CEO Mac Fadra. For nearly 12 years now, MAXiM Hair Restoration has been offering hair transplant procedure to innumerable clients. MAXiM has an experienced team of nurses and plastic surgeons that enables it to continually develop their hair restoration services. MAXiM specializes in hair restoration and nothing else. “MAXiM plastic surgeons who are adept at wound healing and aesthetic procedures. This sets us apart from other clinics where many of the doctors performing the hair restoration are physicians without any plastic surgery experience,” added Fadra. He explains that MEGA Sessions can be done with both Conventional (Follicular Unit Transplantation, FUT) and No Scar (Follicular Unit Extration, FUE) methods of hair transplantation. “No maintenance is required other than the simple, post-op care for about 10 days following the procedure to ensure that they are healing well. Then we see them again after a few months to check on the progress of their hair growth,” he said. The MAXiM mantra is "Hair is all we do and we do it well". We are super-specialized and focused on hair restoration -- nothing else,” Fadra concluded. In 2016, MAXiM launched the offering of Scalp Micropigmentation to clients as an alternative to hair transplants. Scalp Micropigmentation uses an advanced pigment to camouflage the loss of hair. This is particularly attractive to clients who prefer a shaved or buzzed look on their scalp. Scalp Micropigmentation only requires one or two sessions of one to two hours each and is very affordable. MAXiM is also now offering non-surgical, topical and oral solutions for hair loss prevention. 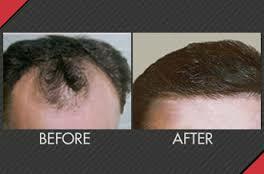 For more information about hair restoration or addition, go to www.maximhairrestoration.com/locations/manila or call (02) 818 6000 or 813 3001 for a FREE consultation. OFWs and those residing outside Metro Manila can avail of Skype consultations.